Do you love The Walking Dead & Horror? Dave Solo, Liz, & Christina discuss the best Horror Shows, Movies, & Stories, as well as bring you the latest celebrities & horror news! 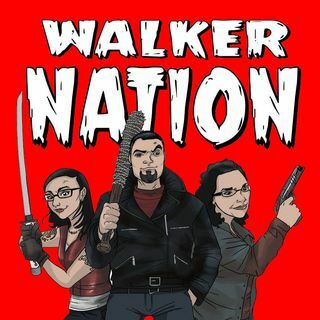 Ep 222 "TWD Season 9B Preview & Stuff"
Ep 221 "Horror News - February 2019"
Join Walker Nation™ host Dave Solo, as he interviews a variety of guests from the worlds of comics, television, movies, video games, podcasts, and more! A horror lovers podcast, covering "The Walking Dead," horror movies, television's scariest shows, and horror news!